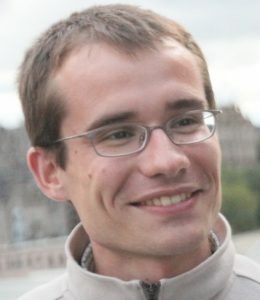 Jakub Mareček is a research staff member at IBM Research. Together with some fabulous colleagues, Jakub develops solvers for optimisation and control problems at IBM’s Smarter Cities Technology Centre. Jakub joined IBM Research from the School of Mathematics at the University of Edinburgh in August 2012. Prior to his brief post-doc in Edinburgh, Jakub had presented an approach to general-purpose integer programming in his dissertation at the University of Nottingham and worked in two start-up companies in Brno, the Czech Republic. His talk takes place on Monday, October 16, 2017 at 13:30 in room D0207. In many engineering applications, one needs to identify a model of a non-linear system, increasingly using large volumes of heterogeneous, streamed data, and apply some form of (optimal) control. First, we illustrate why much of the classical identification and control is not applicable to problems involving time-varying populations of agents, such as in smart grids and intelligent transportations systems. Second, we use tools from robust statistics and convex optimisation to present alternative approaches to closed-loop system identification, and tools from iterated function systems to identify controllers for such systems with certain probabilistic guarantees on the performance for the individual interacting with the controller. This entry was posted in News and tagged Past talks on 2017-10-11 by Petr Bobák.